If you grew up in an area where winter meant below-freezing temperatures and the occasional blizzard, then perhaps you have a strong memory of being zipped into a snowsuit — a quilted onsie of warmth. You wore it when the snow reached knee height. You wore it when you built a snowman and when you made snow angels. It was your snow day uniform. Sometimes the cuffs of the snowsuit had little clips were you could attach your mittens for easy access. 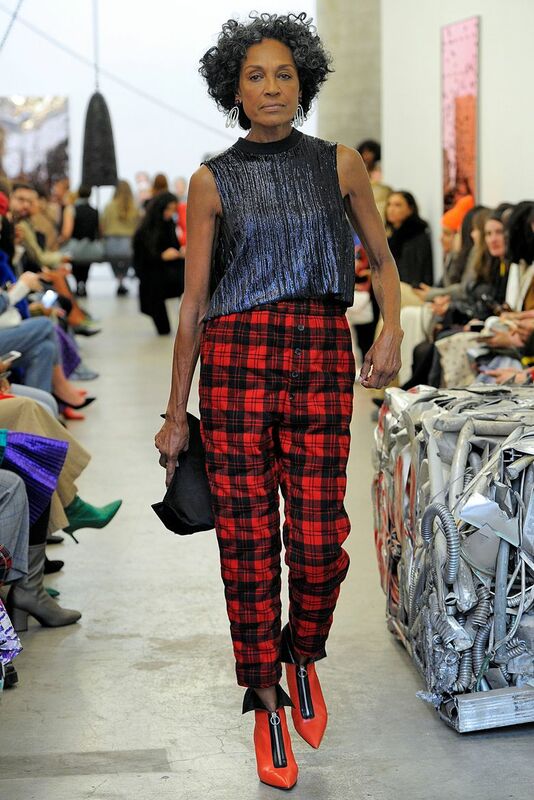 If snowsuits are part of your past and you have fond memories of them, then you will be delighted by a particular pair of red plaid trousers created by designer Rachel Comey for fall 2019. 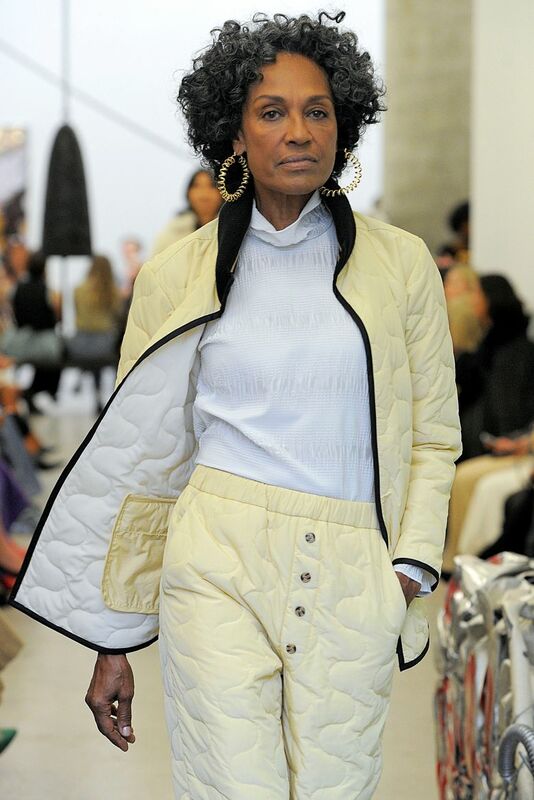 She paired them with a shimmering charcoal gray top, turning snow pants into a chic cocktail ensemble. But even if such Northern nostalgia is foreign to you and all you see is quilting that vaguely recalls an old-fashioned bedspread, no matter. These pants still are delightful. 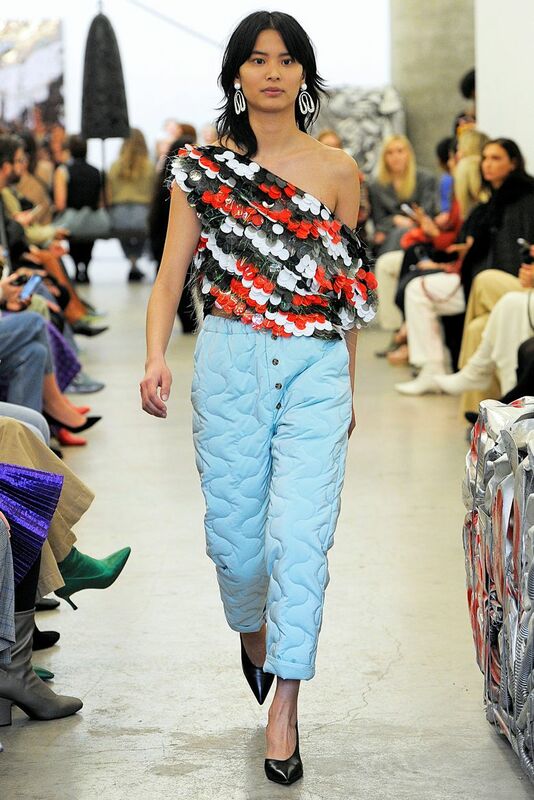 They also happen to be constructed from a fabric woven from post-consumer water bottles. The quilting was part of an eclectic collection that also included blanket coats, patterned sweaters that hint of a vintage store treasure hunt, plenty of plaids and a lot of sparkles. But there was something about the curving stitches and the delicate fluff of the quilted pieces that made them look especially inviting. They were cozy but also sophisticated. Comey is the sort of designer who doesn’t play by the rules of trend forecasters and color consultants. Her clothes always look as though they have emerged from some family scrapbook or private diary. They are her personal story and yet because they exude such humanity, they serve as a reminder that often the personal can be universal and that individual eccentricities and quirks are the things that make us compelling. Our clothes can tell the world who we are and they can remind us of who we used to be. And a pair of quilted pants can bring us immense joy.